LES BEIGES HEALTHY GLOW NATURAL EYESHADOW PALETTE in DEEP, a palette containing 5 shades in earthy and golden tones, which can be used as a base, highlighter or eyeshadow. 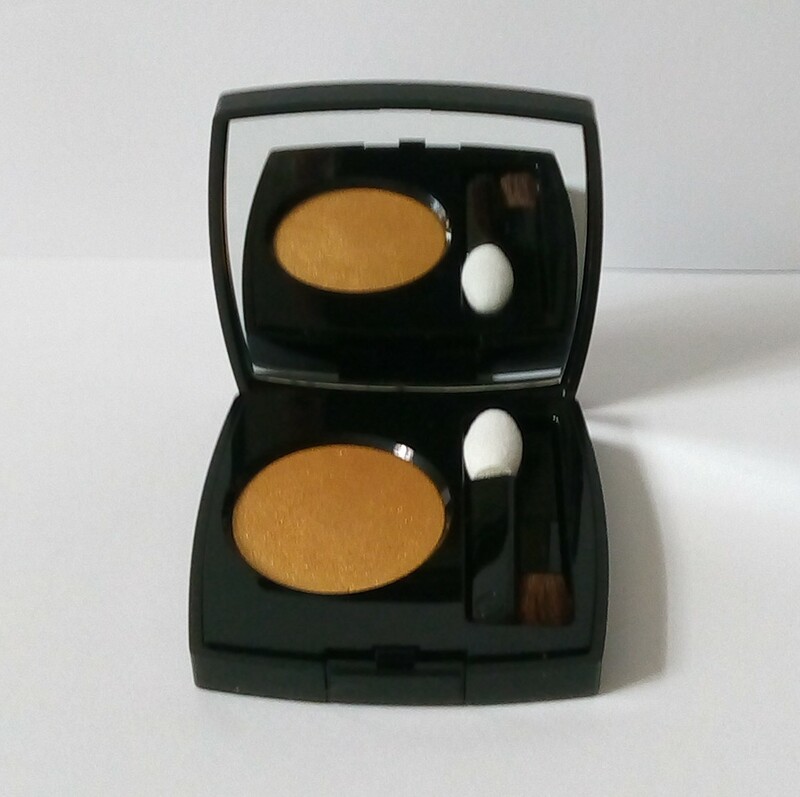 OMBRE PREMIÈRE LONGWEAR POWDER EYE SHADOW in Poudre D'Or (No 34), a metallic gold eyeshadow. It comes in a little, shiny black mirrored compact with a foam applicator to apply it with and a soft little brush for blending. It has a soft, powder texture and applies easily and blends well. I personally will use a little lightly below the eyebrow, on the eyelids and even as a highlighter on the top of the cheeks, to add just a touch of golden glitter and shimmer. I'm really looking forward to wearing this peach/golden look for early Autumn! NEWS FROM CHANEL: LE MAT DE CHANEL, Fall-Winter 2018 Makeup Collection is on the Beauty counters. Colourful and intense shades in a matte texture, this new collection will be very attractive for late Autumn/Winter and the party season. MORE NEWS: A new CHANEL Makeup Collection for MEN is to be launched this Autumn!